Dining Recon: Hurricane Hanna’s Waterside Bar and Grill! | It's "All in WDW"
Dining Recon: Hurricane Hanna’s Waterside Bar and Grill! Yes, we were chatting about this year’s Epcot International Food & Wine Festival. Lots of great cuisine being offered this year, but one of the items – Hops and Barley’s New England Lobster Roll is a particularly beloved fan favorite. In comparison, there are much better values to be found on WDW property. For example, take a trip over to the Magic Kingdom. 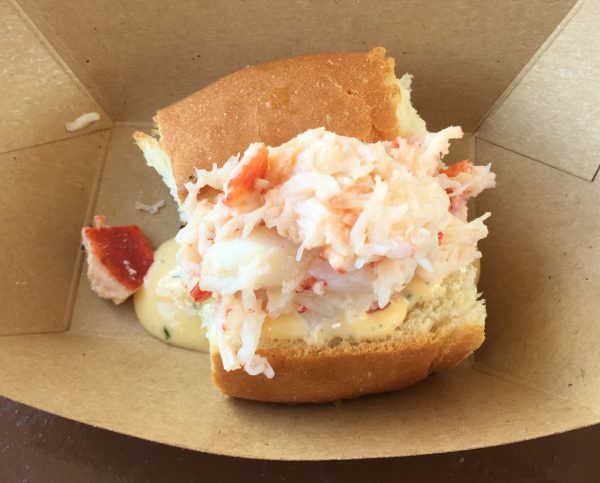 Many fans rave about Columbia Harbour House’s Lobster Roll. Myself? Well, I prefer … you guessed it … the recipe served up by Hurricane Hanna’s. 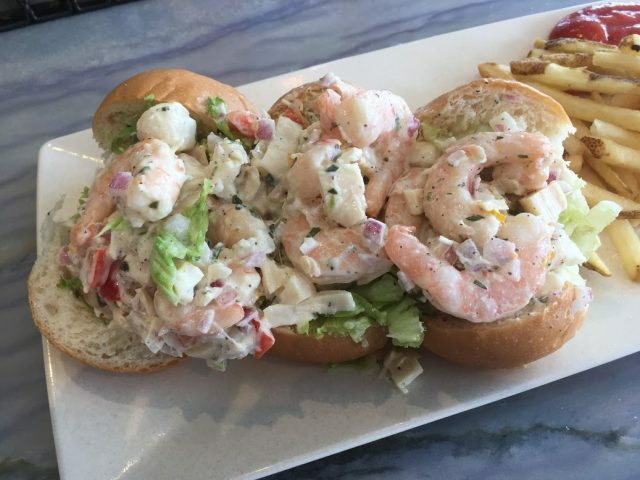 Delivered on Parker House Bread with Citrus Mayonnaise and accompanied by French Fries or Apple Slaw, their Seafood Roll is a feast! If you take a close look, it is presented as three attached rolls. Three! Plus, loaded with lobster, scallops, and more than half-a-dozen shrimp, it is utterly delicious! Wow! Do you want to know the best part? $11.79! What?! Think about it this way … Hops & Barley’s version is all lobster. However, even if it was loaded with this much seafood, wouldn’t it have to cost two to three times Hanna’s price? For my money, folks, I’d pass on Food & Wine (never thought I’d say that!) and walk over to Disney’s Beach & Yacht Club. Visit Hanna. Pull up a stool at the bar, chat with their friendly bartenders, and grab a seafood feast! You won’t be sorry that you did! ← Is Disney Vacation Club a Good Purchase? You’ve Got the Questions? We’ve Got the Answers!